Uses: Community Center, High School Colors: Black, Blue Lengths: 5 panel 9'-5", 9 panel 16'-9" Heights: 8'-0"
A suburban high school outside the City of Chicago was host to the state boys volleyball championship tournament. This meant that official and administrators from throughout the state would ascend on the school to view the multiple game playoffs. It is customary to host honored guests with a light meal and refreshments in a hospitality room. With the regular school day in progress, the tournament couldn’t interfere with classes taking part in the school. 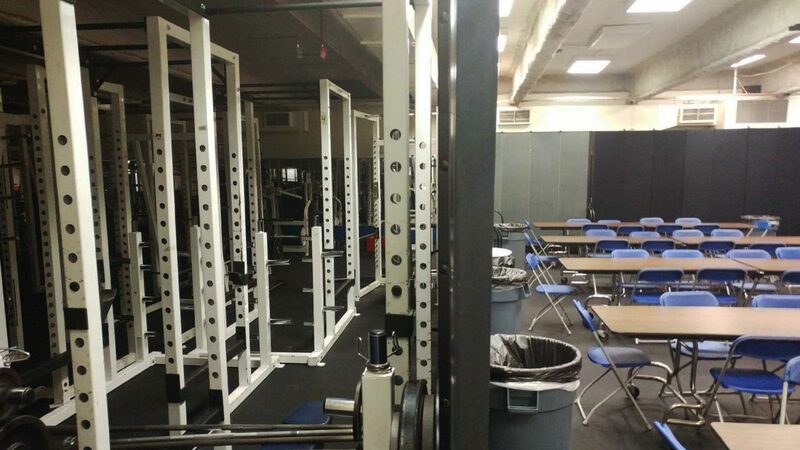 The quick-thinking staff members rearranged the school’s weight room to create an open area. 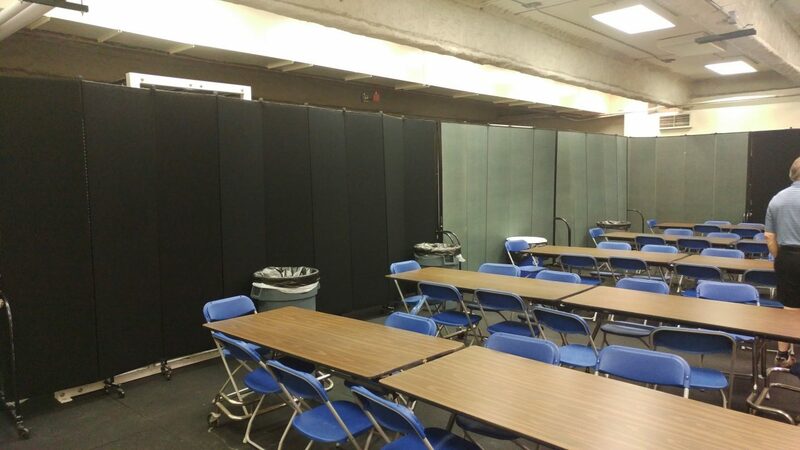 Screenflex room divider was used to separate the space from the weight lifting equipment. An instant private room for guests.